There’s no one here to fight?! I can’t battle the water. I can try, but all that will happen is it will absorb all and every effort I make, drain me of all my resolve and then spit me out like a piece of flavourless gum. Unwanted. Useless. So I thought I’d sit with the frustration and fear fresh in my mind, and I’d write whatever flows from my fingertips, in an attempt to get the mentality needed to complete the Frog Graham Round this Friday. Twice but alas, it was still more a panicked solo dip and in no way a swim. 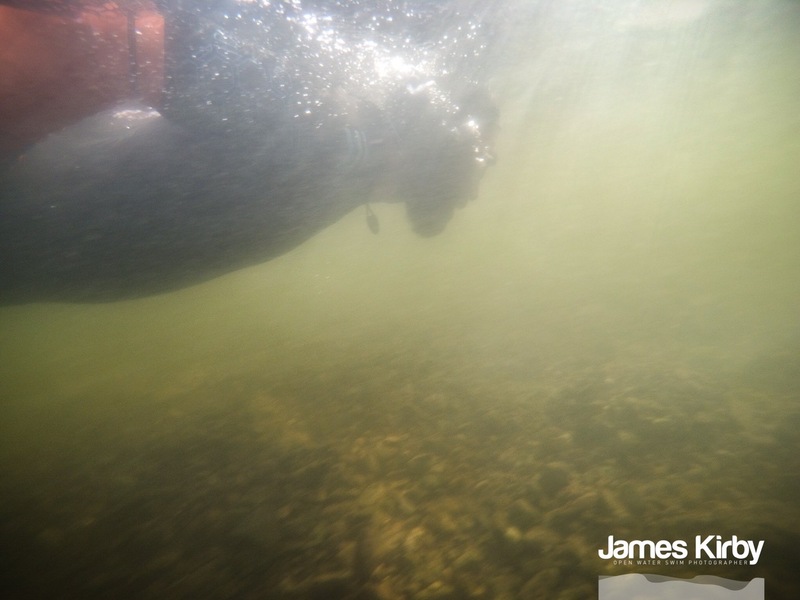 Then Steve comes along and with the friends stood expectantly on the shore side, I swam with him. Swam out into the water, refusing to put my face in. I’ve realised I’m on a new step of the fear control ladder. I can swim, slowly, head held stiffly aloft, but at least I can make progress in the watery death. I did put myface in but the fear controls my movements. Forces them to be irratic and feel out of control and this simple chain makes me frustrated. Furstrated that I cant control the sensation the same way as I can when climbing, scrambing or running. There’s no point in even telling myself that I know how to control it all becasue the truth of the matter is that I dont. Or at least, I’m not familiar with it enough to be able to be at ease. I need to get familiar with the sensations. The cold engulfing of my face, the bruning touch of the water on naked skin and the inability to see what lies beneath me. 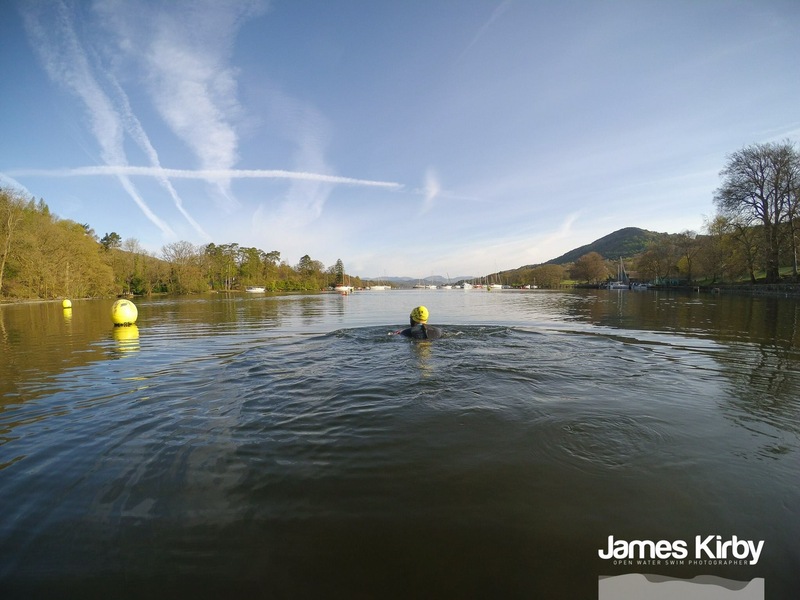 Familiarise myself with the neural feedback and learn to let it wash over me, to relax and take control of my muscles and breathing without the uncontrollable desire to get out of the water by the fastest way possible. With all this said, with the thought and unheard words of those looking in from the outside that this is just too much to soon, what is actually going to happen in the Frog Graham round? What are going to be the main problems ot overcome? 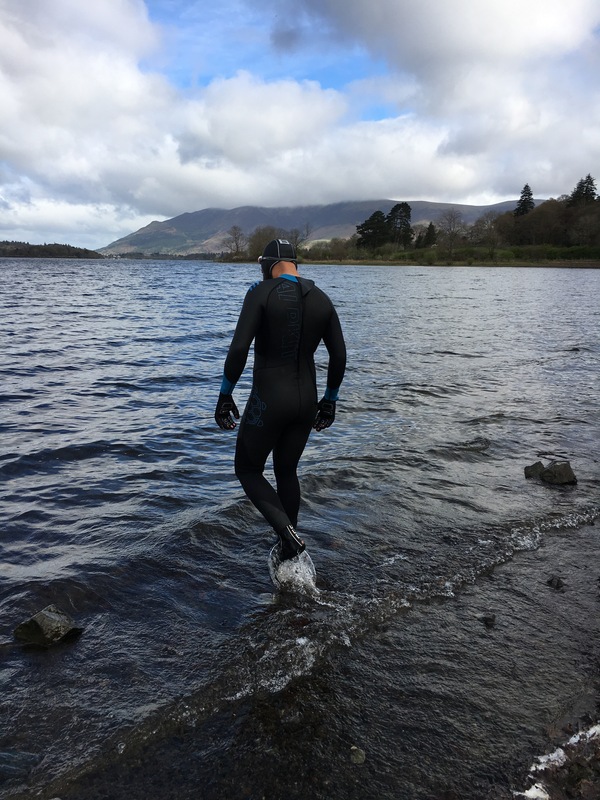 – The transition from wet setsuit to dry running clothes – the air temperature on the peaks and low land at night and early morning will be close to zero, if not below. Staying wet for too long will waste energy and be potentially dangerous. – Swimming face down – I need to relax when I do this or swimming will be so inefficient and slow that I risk getting seriously cold and potentially hyperthermic with no real escape. – Fuelling – I can fuel a run. Ive learnt to fuel a run, but I’ll have to make sure that I drop my pace on the final part leading to the lake swims and put in fuel. 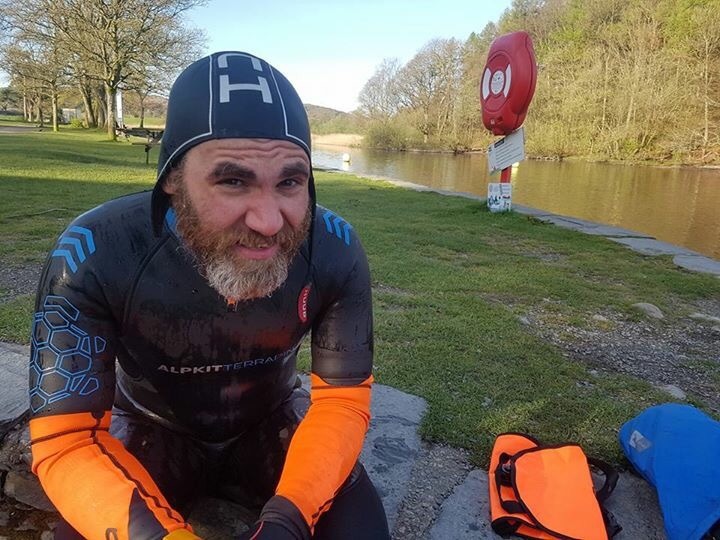 – Carrying the wet kit – I’ll be needing to carry towel and wetsuit. 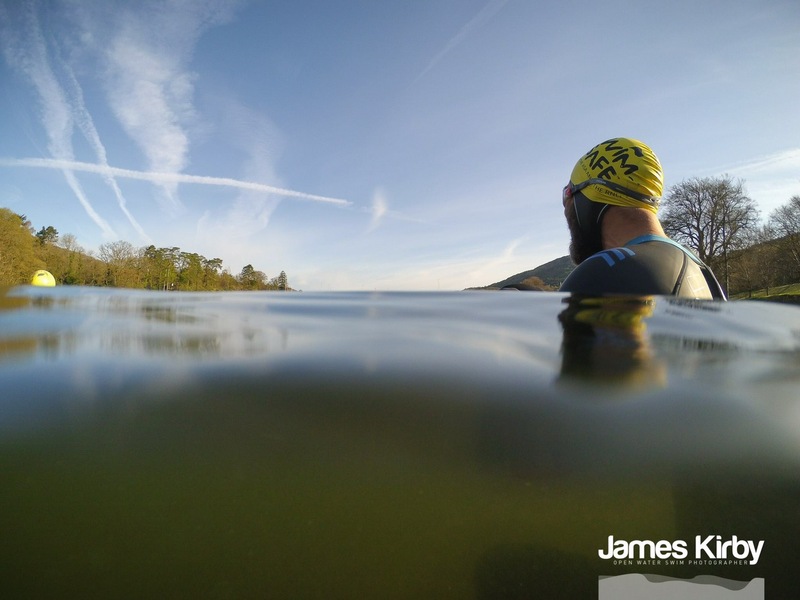 Heading up on the second leg, early in the morning with the real possibility of sub zero temperatures would be more fool hardy than trying to do the Frog Graham when you’re actually far more scared of the water than you realised. What about the fear? Well, I guess I’ll just have to learn to love it. Thanks to James, Wayne and Lucy for the pictures.